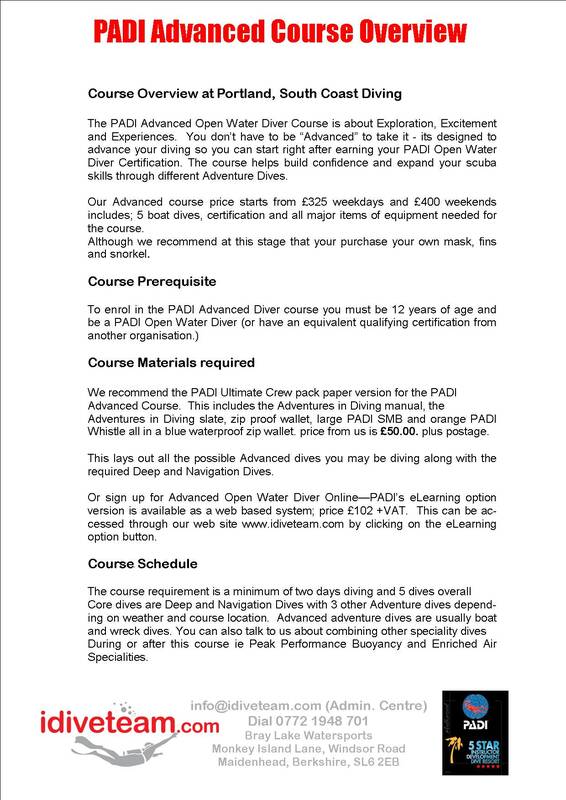 PADI Advanced Open Water - LEARN TO DIVE with "idiveteam"
​The PADI Advanced Open Water Diver Course is about Exploration, Excitement and Experiences. You don’t have to be “Advanced” to take it - its designed to advance your diving so you can start right after earning your PADI Open Water Diver Certification. The course helps build confidence and expand your scuba skills through different Adventure Dives. You try out different specialties while gaining experience under the supervision of your PADI Instructor. You log dives and develop capabilities as you find new ways to have fun scuba diving. This is a great course with lots of diving! You need to complete 5 adventure dives, two of them are mandatory which are a deep dive and a navigation dive. During the Deep Adventure Dive, you learn how to plan dives to deal with the physiological effects and challenges of deeper scuba diving. The Underwater Navigation Adventure Dive refines your compass navigation skills and helps you better navigate using kick-cycles, visual landmarks and time. The other knowledge and skills you get vary with your interest and the adventures you have – photography, buoyancy control, fish identification, exploring wrecks and many more. Most people do the AOW course because it teaches you to dive deeper safely. Most dive operators will allow you to join dives up to 30 meters when you have done your Advanced Course. It will also give you lots of confidence and open your eyes to lots more diving specialities that could take your diving on a whole different path. You can choose to study with a manual or with PADI eLearning - the choice is yours. Our Advanced course price starts at £ 325 for midweek, £400 weekends It includes 2 days diving and a total of 5 boat dives and fee's out of Portland Dorset and also includes all major items of equipment needed for the course. This course can be done any week of the year - weather permitting.